So you’ve decided to start your year off with a move to Laramie. What a wonderful idea! We might be biased, of course, but we think that there’s a whole lot to love about this part of the country and we think your decision is a great one. Whether your goal is to buy a home here or rent an apartment, the team at Laramie Property Management Group is here to help! The truth is that moving to a new place can be difficult. How do you know which restaurants to try? What is there to do for fun? What’s the weather like? Thankfully we live in a day and age where most of the information you want is a quick Google search away. Nevertheless, our team wants to help you get things off on the right foot. That’s why in today’s post we’ll be sharing a few things we think you should try in Laramie. Keep reading to learn more. Looking for vegan and vegetarian food? Head on over to Sweet Melissa’s! Located on 1st Street, it’s sure to become a favorite go-to restaurant whether you’re a carnivore or not. A trip to Artisans’ Gallery is just what you need to furnish a new living space. They offer a selection of pottery, knits, jewelry, local jade, petrified wood, art, and much more. A self-proclaimed “cozy family restaurant,” Ja’s Prairie Rose Cafe serves breakfast all day as well as full lunch and dinner menus. No matter what you’re craving, you’ll find it here, and the many menu items mean it’ll keep you coming back again and again to try something new. What better way to get to know Laramie than with a trip to the American Heritage Center? Their mission statement notes that they are responsible for “maintaining the University’s Archives, and for collecting, preserving, and disseminating the historical documentation of select aspects of cultural heritage at the local, state, national, and even international levels.” In other words, there’s a lot on display for newcomers to check out. With huge portions, interesting burgers, and a relaxed atmosphere, Old Man Grill is a place that you have to eat — that’s all there is to it. An attentive wait staff makes the experience amazing, and the food is extraordinarily good. Be sure to give it a try! Wyoming’s relationship with the railroad is legendary, and a trip to the Laramie Railroad Depot that was built in the early 1920s to replace the Union Pacific Depot (which burned down in a fire in 1917) is a must-visit. With a museum of railroad memorabilia, it’s a great way to learn about the history of your new city. One of the best things about Laramie? We listed several things above, and that’s only scratching the surface! Any exploration in our neck of the woods will be rewarded and we’re sure that you’ll absolutely love living here. 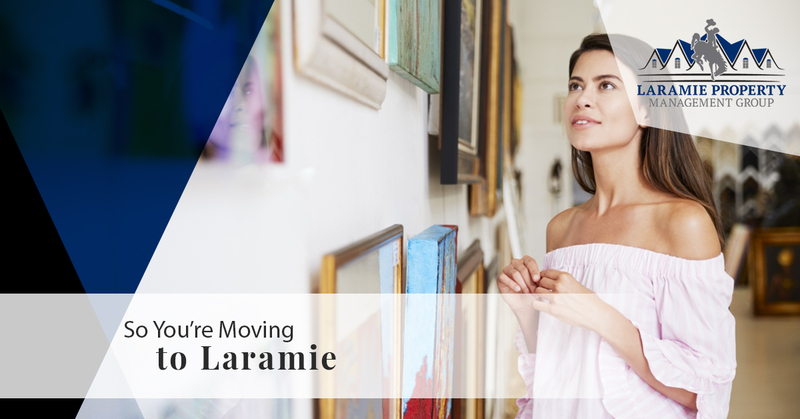 With Laramie Property Management Group, you’re moments away from the living space of your dreams. Contact us today to get the help you need!